Last Christmas Eve the Brewers made the mid to high profile free agent signing of Jeff Suppan. This Christmas eve, and Christmas elapsed silently, finding Melvin and Co. making no moves. With winter meetings long gone, opening day still about 100 days away and spring training more than six weeks off, this period marks a lull, a patience-trying period in which fans will probably have to wait for an exciting transaction to take place later than sooner. I fail to believe that Gabe Kapler will be the last player to be brought in before season's beginning. So until such a groundbreaking transaction is to come to be, the best Brewer fans can do is look at moves made throughout the league and wonder what that says for the Brewers impending roster shakeup. *Free agent outfielder So Taguchi just inked a one year deal with the Phillies for Gabe Kapler-type money. This says to me either 1. The Brewers are hanging their hat on a Gross/Kapler/Gwynn-like platoon, 2. They are seeking an outfielder via trade, 3. They will move Braun to LF and look into aquiring a 3B via trade. 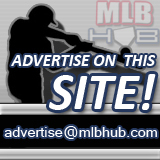 *Recently, the Reds sent the walking feel-good story Josh Hamilton to the Rangers for a plethora of pitchers, including one the Rangers penciled in to be their No. four or five starter this coming season. Personally, (and I know I'm not alone) this indicates they need to bolster their rotation leaving the Brewers with considerable leverage in a deal involving 3B Hank Blalock (the popular name rumored), sending Braun to LF. *Free agent hurlers like Silva and Prior ahve also just agreed to terms with the Mariners and Padres respectively, which aludes to the assumption that the numerous other teams that were pursuing one or both of those over-rated arms to seek pitching help elsewhere via trade. There really aren't many quality pitchers left on the market - so names like Capuano and Vargas are looking a lot better. In all, nearly each and every move around the league either opens up or cancels out a possibility for the Brewers. Yet, a number of free agents have yet to find homes, so as teams explore those options the club will likely sit wait to see how the chips fall and pounce when the time is right. So keep watching, and do your best to stay occupied and sane in what looks to be a tremendously boring period preceeding what looks to be a great Brewer season.